Education • Fate of the preservation efforts in question as focus narrows to Utah tribes. 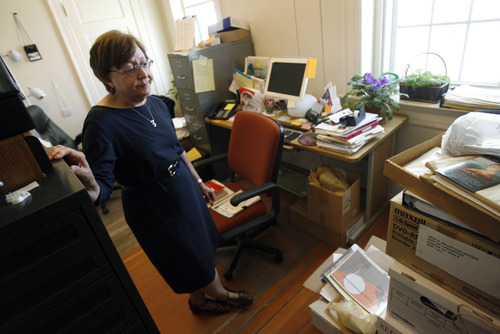 Francisco Kjolseth | The Salt Lake Tribune University of Utah linguist Marianna Di Paolo helped found the Center for American Indian Languages at Fort Douglas and runs its Shoshoni Project. She is pictured with Bryan Hudson, a Shoshoni language instructor and research assistant. The U. is shutting down the center, which has worked to preserve native languages across the Americas. Administrators want to focus these efforts on Utah tribes. Francisco Kjolseth | The Salt Lake Tribune University of Utah linguist Marianna Di Paolo helped found the Center for American Indian Languages and runs its Shoshoni Project. The U. is shutting down the center, which has worked to preserve native languages across the Americas. Administrators want to focus these efforts on Utah tribes. 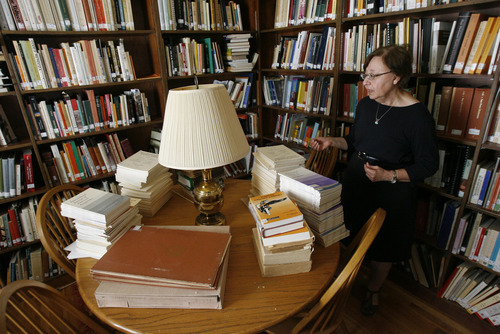 Francisco Kjolseth | The Salt Lake Tribune University of Utah linguist Marianna Di Paolo helped found the Center for American Indian Languages and runs its Shoshoni Project. The U. is shutting down the center, which has worked to preserve native languages across the Americas. Administrators want to focus these efforts on Utah tribes. The University of Utah is disbanding an 8-year-old center devoted to documenting and preserving indigenous languages, framing the move as the best way to focus on Utah's tribal tongues. However, the U. will severely narrow the scope of these efforts, a shift from the Center for American Indian Languages' (CAIL) current work on languages across the New World, particularly in South and Central America. The "restructuring" will "enable greater efficiency and coordination within the college and university-wide," officials said in an Aug. 31 announcement. Far less clear is what will become of some initiatives started or nurtured under the leadership of the center's founder, Lyle Campbell, well-known among linguists for documenting native languages before they fall silent. Hired at U. in 2004, he organized an annual conference on endangered languages and helped land at least $3 million in grants, mostly from the National Science Foundation (NSF) and National Endowment for the Humanities, to record indigenous languages, transcribe words and grammar, and create materials to keep them alive among young speakers. The U. 's move has shocked many in the language conservation world, according to Chris Rogers, Campbell's former graduate student who led CAIL after Campbell left two years ago. 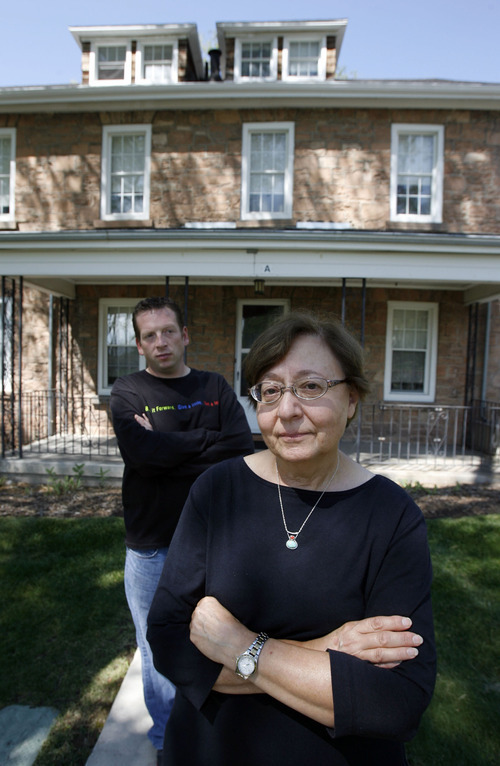 "There isn't another research center doing research with such a broad focus," said Rogers, dismissed by the U. in June. "It's such an important part of what linguists are doing now. Closing it is like shooting yourself in the foot." An internationally recognized expert in Mesoamerican languages, Campbell is now a professor of linguistics at the University of Hawaii. "It makes sense to build our initiatives around our current faculty, not those who have departed," wrote humanities dean Robert Newman in an e-mail. "While the Department of Linguistics has decided that Lyle's research focus is no longer a priority for future hiring, we intend to continue work on language revitalization and preservation, specifically as it relates to the Utah tribes." Dozens of the Americas' indigenous cultures are expected to see their native languages pushed aside by European languages in the coming decades, according to Campbell and other experts who are in a race against time to record the last surviving speakers. "They are not giving up their languages out of choice. In that respect it's a matter of human rights," he said Wednesday in a phone interview from his home in Honolulu. Entire systems of knowledge are at stake. "A language is a unique window on the human mind," Campbell said. "It's a loss of human, cultural and scientific information" when a language is forgotten. He said he was saddened, but not surprised by the demise of the center, because the College of Humanities had been devoting fewer resources to it and failed to hire a new director even after conducting a national search. Some of his research remains at Utah, such as a federal grant to create "a talking dictionary" for Ninam, a language of tribes native to the Amazon. The U. will continue supporting this grant, but only until August 2013. Moving to the west. • U. administrators plan to shift CAIL's outreach mission to the American West Center, which maintains an extensive archive of American Indian cultural materials and develops curricula for tribal schools. The language training programs will be housed with the College of Humanities' proposed new Language Center. The dean initiated the changes without consulting CAIL's principal faculty member, Marianna Di Paolo, a former linguistics department chair who started and continues to lead the center's project to conserve the Shoshoni language. A member of the Academic Senate, she only learned of the restructuring from the U. 's Aug. 31 press release. "I am in the process of trying to find out what will happen to me and my project," said Di Paolo, who holds tenure although her position and funding were recently moved from linguistics to the center. She said she intends to continue helping the Shoshone preserve their language. Initially funded by an NSF grant, the Shoshoni Project has transcribed and translated recorded narratives of native speakers. There remain only a few hundred people fluent in the language of the various Shoshone and Goshute tribes that occupy territory stretching from northern Nevada to Wyoming. Di Paolo has refocused the project on helping the tribes revitalize Shoshoni as a living tongue. Funding now comes from Barrick Gold Corp. and officials say the U. will continue its involvement. "We are committed to sustaining, indeed to enhancing, this project and are exploring the best ways to do this with all stakeholders," Newman wrote in an e-mail. The dean declined to be interviewed. A changed mission. • Since the 1990s, Di Paolo has been building on a Shoshoni language archive gathered by one-time linguistics chair Wick Miller. Following Miller's death in a 1994 car accident, the U. 's strength in native languages slipped, according to Di Paolo. A linguistic department review in the early 2000s urged the department to recruit a leading expert in Native American languages. That prompted Di Paolo, then department chair, to launch the search that landed Campbell, who moved to Utah from New Zealand's University of Christchurch with the expectation of starting CAIL. The center soon gave the U. national stature in the language preservation movement. An external 2009 reviewer of linguistics praised the department for supporting CAIL's "important mission." But shortly after that review the department severed its oversight of CAIL and Campbell left. Forrest Cuch, a Ute tribal official and former member of CAIL's advisory board, said he is neutral on the changes and remains hopeful the American West Center, known for its advocacy of historical documentation, will do a good job preserving Utah's tribal languages. Research by its director, history professor Greg Smoak, has focused on the Shoshone-Bannock tribe. "I want us to play to our strengths. We have helped tribes create curricula. We have done many oral histories with tribal folks," Smoak said. "We can continue that type of work and broaden it. This isn't to say linguistic preservation is unimportant, but to look beyond that at cultural preservation."